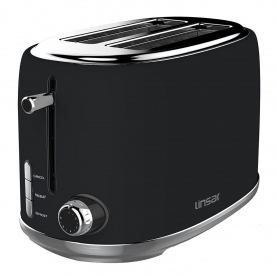 Exclusive to Euronics and Agent Stores, this Linsar toaster comes in a sleek black finish to suit any kitchen. 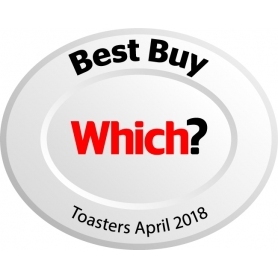 A two slot toaster, the KY865BLACK measures just 18 cm x 25 cm x 16 cm, fitting easily into almost any kitchen worktop. Enjoy toast the way you like it, with six-level variable browning – get the perfect crunch every time. A number of helpful features can be found on the KY865BLACK, for your convenience. Prevent tangled wires or messy worktops with this model’s handy cord storage. Simply retract the power cord back into the toaster’s body when not in use, freeing up space. What’s that burning smell? 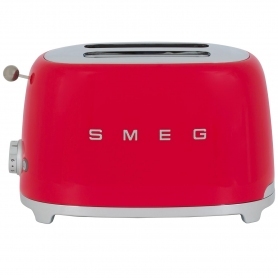 With the Cancel button, you can quickly release the contents of your toaster for quick removal. No more scraping away at your blackened slice of toast – the KY865BLACK lets you take it out whenever you need to.